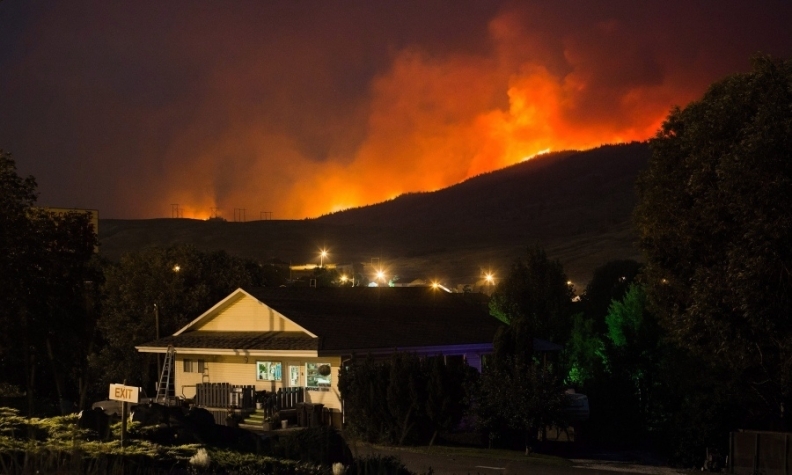 There are 161 active wildfires in the province, 14 of which started on Friday, according to the The Canadian Press. Canada’s automotive industry is rallying to help those affected by the raging wildfires in British Columbia. Automakers, dealers, union locals and at least one insurance agency have all donated to relief efforts, mainly through the Canadian Red Cross. Five organizations have combined to donate more than half a million dollars. There are 161 active wildfires in the province, 14 of which started on Friday, according to The Canadian Press. Approximately 43,000 people from the interior of the province remain displaced, the news agency said. The Honda Canada Foundation has donated $100,000 to the Canadian Red Cross for use during relief and recovery efforts in British Columbia. Some areas received rain last week, but officials are concerned warm weather and strong winds in the forecast could reinvigorate the fires. Toyota Canada Inc. and Toyota Financial Services are contributing $50,000 to help the Canadian Red Cross. “At times of disasters such as these, we need to come together and lend a helping hand,” Darren Cooper, president of Toyota Financial Services, said in a statement. Unifor, Canada’s largest private-sector union, created through the merger of the former Canadian Auto Workers and the former Communications Energy and Paperworkers, has donated $220,000 to the Canadian Red Cross. Unifor’s national office made an initial donation of $100,000 on July 12. Shortly after, Unifor’s B.C., Prairies, Ontario, Quebec, and Atlantic councils raised an additional $120,000 together and are encouraging local union halls to make donations of their own. “Unifor members in every province are concerned about the welfare of families displaced during this crisis,” Unifor National President Jerry Dias said in a statement. The New Car Dealers Association of B.C. has set aside an initial $100,000 to support dealer members, employees, and families who have been displaced from their homes. The association has also been approached by fellow dealer associations in Canada as well as the Canadian Automotive Dealers Association offering their support. Details from those other associations haven’t been disclosed. “Our thoughts are with our dealer member community at this time, and we appreciate all the generous support being offered,” the New Car Dealers Association of B.C said on its website. The British Columbia Automobile Association, which offers auto insurance in the province, has donated $100,000 to the Red Cross. "BCAA has seen first-hand the overwhelming effects of forest fires on communities, including some of the most destructive wildfires in B.C. 's history and we want to help in any way that we can," BCAA CEO Shom Sen said in a statement. "We understand that British Columbians are worried and those in affected areas have serious concerns, and we want to contribute to wildfire efforts so families can stay focused on ensuring they have the important things they need during this difficult time."